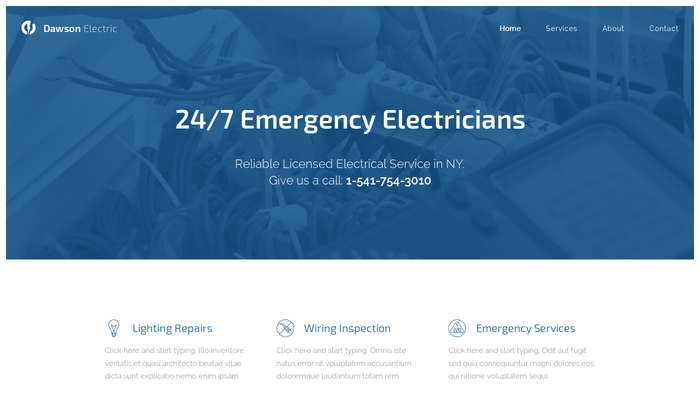 Professionally-looking template for electricians and other skilled repairmen. 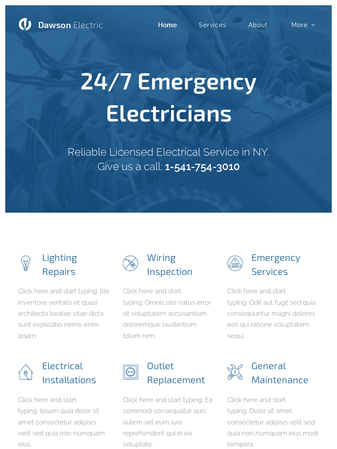 Doesn’t require any major modifications, just add your phone number, list of offered services or describe your past experience. Testimonials from satisfied customers will leave a good impression and prove to visitors that you’re the right man for the job.